When you purchase a new or used vehicle, you no doubt consider the “hidden” costs of your new purchase. There will be maintenance and oil changes, the cost of automotive insurance and gasoline, and of course, you must consider the expenses associated with rarer occurrences like accidents and other mishaps. Still, very few people realize just how expensive new car keys are. On newer models of cars – the type that feature transponders and laser cut keys – a replacement key can cost up to one thousand dollars if it is purchased from the dealer! This is just one of the many reasons why it is so much easier to deal with the Jersey City Locksmith Team if you lose your car keys, instead of going back to the dealership. 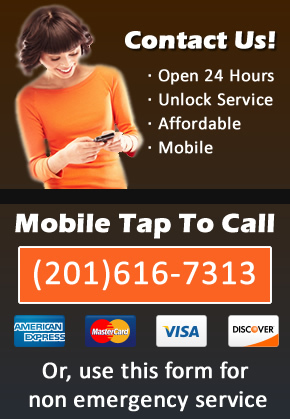 At Jersey City Locksmith, we keep a well stocked car locksmith van available at all times. In the van, we carry all of the tools that we need to unlock your car and create a perfect replacement key for it. This means that if you ever lose your car keys, the Jersey City Locksmith Team can have you on the road within minutes. Furthermore, we pride ourselves on staying up to date with the latest automotive technology. As a result, we are able to craft replacement keys on site for even the most complex vehicle locks. We can even fabricate transponders and laser cut keys in minutes! It is never any fun to lose your car keys or get locked out of your car. Still, if it does happen, Jersey City Locksmiths can help you get back on the road faster and for less money than the dealership. If you do get locked out of your car or lose your keys, give us a call. We are on hand to assist you, and can of course make you a few spares as well!